Giovanni Gabrieli was born in Venice in or about 1557. 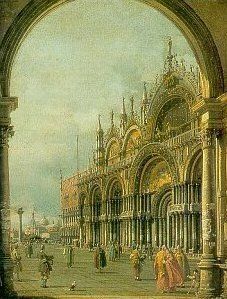 He studied With his uncle, Andrea Gabrieli, who was considered to be a master of the Venetian school. More than any of the Venetians who had preceded him, Giovanni Gabrieli devised an instrumental style as opposed to a vocal one. 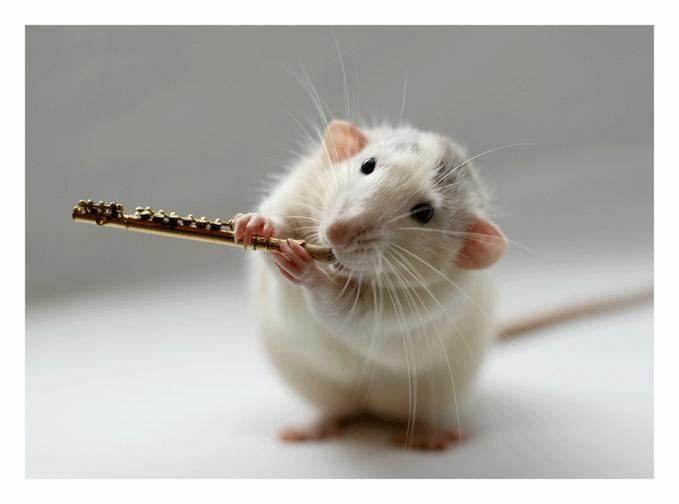 He had the ability to handle instruments with such mastery and variety of means that the history book is sometimes inclined to describe him as the "father of orchestratlon. 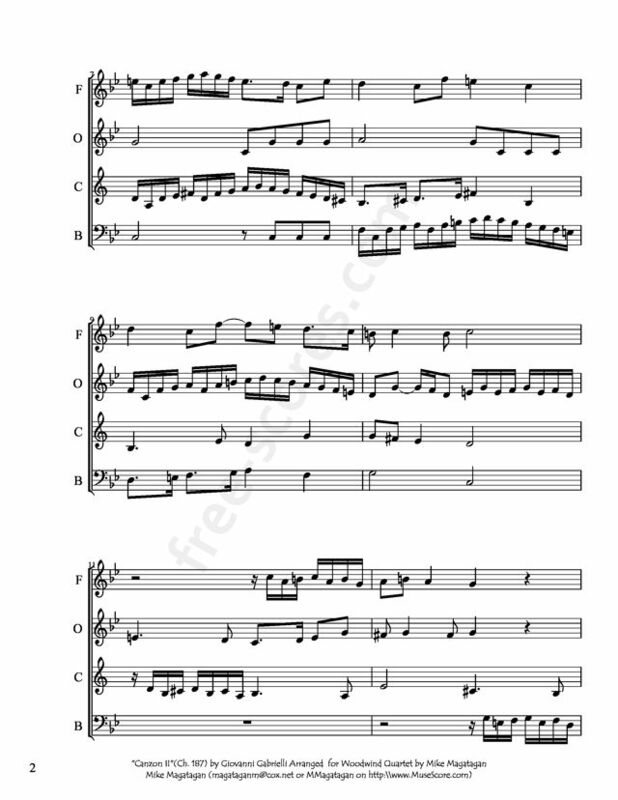 "Canzon Duodecimi Toni" by Gabrieli was penned in 1597 and represents one of the earliest earliest periods of wind band history. 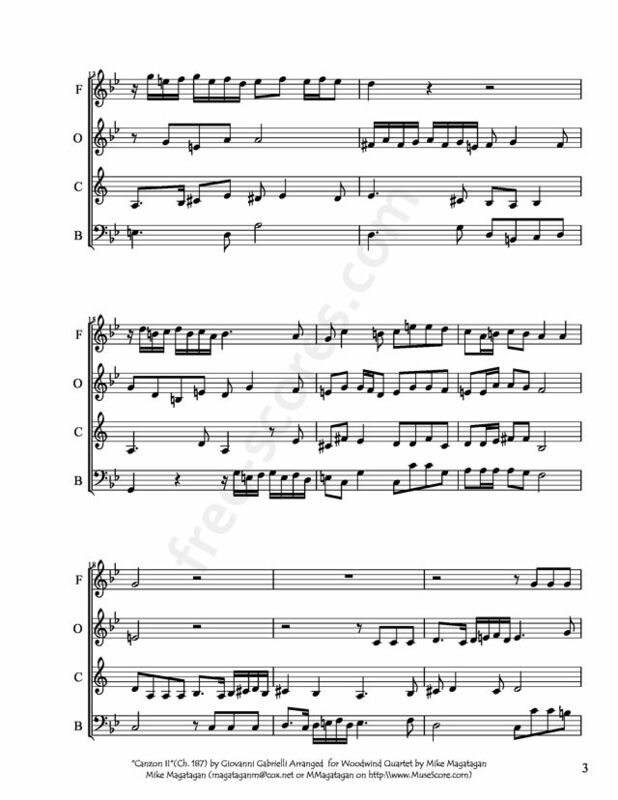 The work is an excellent example of the polychoral style of music which t>1aS performed in the cathedrals by 1600 A. D. It also represents a type of music which is beginning to enjoy a renaissance today. 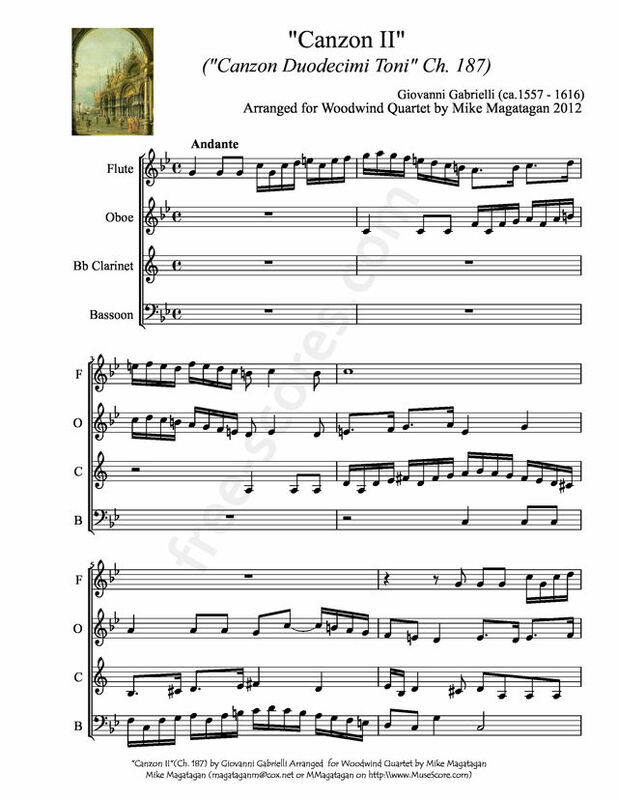 Although originally written for brass instruments, I created this arrangement for non-standard Woodwind Quartet (Flute, Oboe, Clarinet and Bassoon).